Age Range:>14 year. Material: Eco-friendly Plastic ABS. Quantity: 144Pcs. Exercise cooperation skills, improve ability. 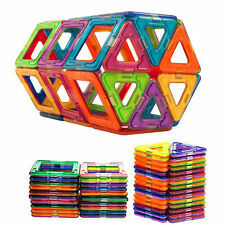 144 x Plastic Building Blocks. Good for your kids ' educational. The colors may be a little difference for the different monitor display. Fit for: the children 6 years and up and Blocks fan. Gift for: boy/ friend / the children 6 years and up / Blocks fan / collect fans. We will try our best to solve the problem. If you want to buy more. Build a Panzerkampfwagen VI Ausf. Blocks pcs:as picture show. 1 x tank with detailed instruction. We will try our best to solve the problem. After-sale Service. Product Photo. Product Material: Eco-friendly ABS plastic. Material: ABS plastic/non-toxic. ●Give us a chance to resolve your problem without any loss to you. I will try my best to serve for you! Because of the different display of each computer, the color of pictures and objects will be slightly different. 1 set of 18087 Cute Panda Animal DIY mini Building Nano Blocks Toy. I will try my best to serve for you! Or replace item for you. ● We check every item in good condition before we send it. ●Give us a chance to resolve your problem without any loss to you. Material: ABS plastic/non-toxic. I will try my best to serve for you! ● We check every item in good condition before we send it. Or replace item for you. Australia,Canada,United Kingdom. Material: ABS plastic/non-toxic. Because of the different display of each computer, the color of pictures and objects will be slightly different. I will try my best to serve for you! Or replace item for you. Number of products: 105PCS. 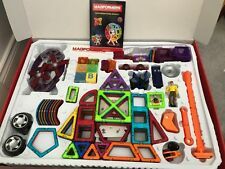 Magnetic Building Kit is a very popular gift. Kit is compatible with similar-sized block sets. The magnets are strong enough to create and maintain many sturdy patterns and shapes. There are so many things to learn with these tiles! Pass out tiles to an entire classroom for an exciting hands-on learning experience. Get all of your friends and family together for a cooperative construction adventure. 12pcs Military SWAT Special Police Building Block Bricks Toys for Children. 12pcs/Set Police Building Blocks With Weapons. We will do our best to help you to resolve your problems. Quantity: 12pcs/Set. The toy can be assembled into a model shown in the picture. Assembling allow children to experience the success and joy of creation. Not only exercise children's ability and spatial thinking skills, but also help to raise children 's awareness of the variety of graphics. STAR WARS LEGO 75212 Kessel Run Millennium falcon. This is not a LEGO® Product. CUSTOMIZED TOP PLATE WITH LEGO COMPATIBLE NUBS THAT SECURE THE STAND TO THE MODEL. 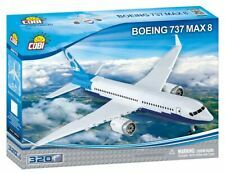 (Model,Lego and/or optional accessories are not included). Note: Children should be warning in adult care use, do not put toys, thrown each other. We will respond within 24 hours and give you a satisfied solution. Material: ABS plastic/non-toxic. Material: ABS plastic/non-toxic. I will try my best to serve for you! ● We check every item in good condition before we send it. Or replace item for you. ●Give us a chance to resolve your problem without any loss to you. The interface is smooth and each corner has a chamfer. It is a traditional educational toy for kids and adults. For kids, it can develop their brain and logic thinking ability. One year Warranty. Material: Plastic magnet. 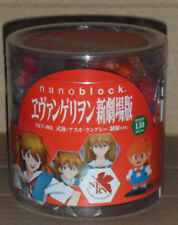 Mcdonald's nanoblock Limited Edition Collector's Kit. USA,Canada. Toy quantity：18PCS. Toy Size：Approx 4.5cm. F un to build them by yourself，make your army more powerful. Material: ABS Plastic. DISPLAY STAND for Star Wars Lego 75259 75049 Snowspeeder - Clear acrylic,Nice! This is not a LEGO® Product. CUSTOMIZED TOP PLATE WITH LEGO COMPATIBLE NUBS THAT SECURE THE STAND TO THE MODEL. COMPATIBLE ACRYLIC DISPLAY STAND FOR. Support the model with one hand or lay it up side down. 1 set x 3D Model Building Blocks Kit. 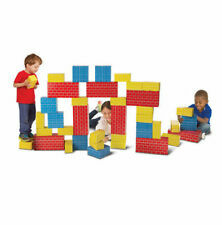 ➤ Our building blocks were not only created for fun but also as an educational tool. ➤ This is an unfinished model that needs to be assembled by yourself. Actual color may be slightly different from the image due to different monitor and light effect. 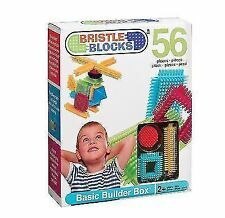 Blocks pcs: 836pcs. Gift for: boy/ friend / the children 6 years and up / Blocks fan / collect fans. Fit for: the children 6 years and up and Blocks fan. We will try our best to solve the problem. Product Photo. 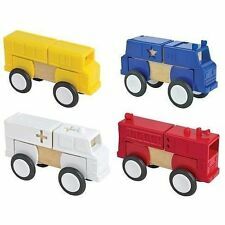 1 Set of 4pcs Building Blocks. We will do our best to help you to resolve your problems. Quantity: 4pcs/Set. Material: ABS Plastic. Made of ABS plastic, eco-friendly material. Color: Black. We will try our best to reduce the risk of the custom duties. These blocks are made of ABS material. baby jewelry. #2, Neutral. I am scared to see low DSR rate or Neutral. Great for kids playing and studying ! 100% Good condition ! HOT ITEM ! DON'T MISS THIS CHANCE ! Trending at C $29.11eBay determines this price through a machine-learned model of the product's sale prices within the last 90 days. Other RC Toy. Baby Safety Seat. Classic Toys. Age Range:>14 year. Product Image. Material: Eco-friendly Plastic ABS. 2, There are small parts in the product. |Add to FAVS. Children should be warning in adult care use. do not put toys, thrown each other. small parts do not eat, lest produce risk events. avoid fell into, exposure to the sun, damp. Commodity material: ABS green plastic. Toy quantity：21PCS. Toy Size：Approx 4.5cm. Material: ABS Plastic. Note: You get everything we show in picture，but not include the b ottom board. Category: magnetic rod building blocks. develop their brain thinking ability, can DIY. Age: 3 Years . Color: Multi. DISPLAY STAND for Lego 75149 75102 Poe's X-Wing Fighter - Clear acrylic Nice! DISPLAY STAND for Lego 75218 X-Wing Starfighter - Clear acrylic! STAR WARS Lego 75218 X-Wing Starfighters. This is not a LEGO® Product. CUSTOMIZED TOP PLATE WITH LEGO COMPATIBLE NUBS THAT SECURE THE STAND TO THE MODEL. Pressing fromunderneath the top plate, attach the plate in front of the wing release. 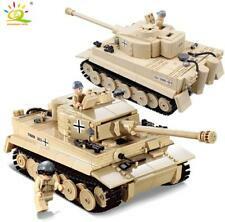 XINGBAO 06015 1386Pcs Military Series The Scorpio Tiger Tank Set Building Bricks ======================================================================. 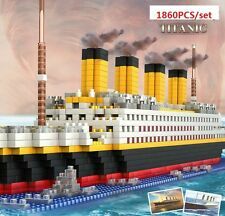 Bricks number : 1386pcs. ============================================= Specification:1. Blocks pcs: 491pcs. Fit for: the children 6 years and up and Blocks fan. Gift for: boy/ friend / the children 6 years and up / Blocks fan / collect fans. We will try our best to solve the problem. Product Material: Eco-friendly ABS plastic. Toy quantity：21PCS. Toy Size：Approx 4.5cm. No original box,new in sealed bag. Material: ABS Plastic. F un to build them by yourself，make your army more powerful. Trending at C $14.23eBay determines this price through a machine-learned model of the product's sale prices within the last 90 days.